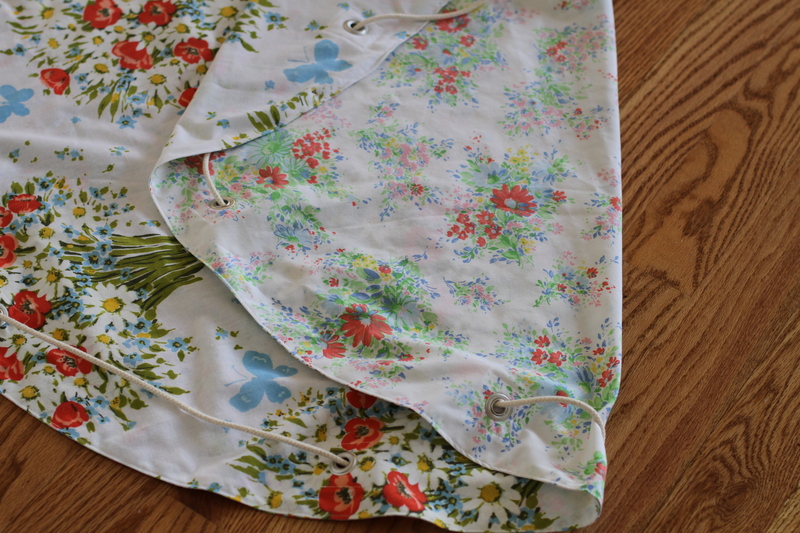 This second one I made bigger, out of two thrifted sheets, and the drawcord just goes through grommets from back to front of the mat. 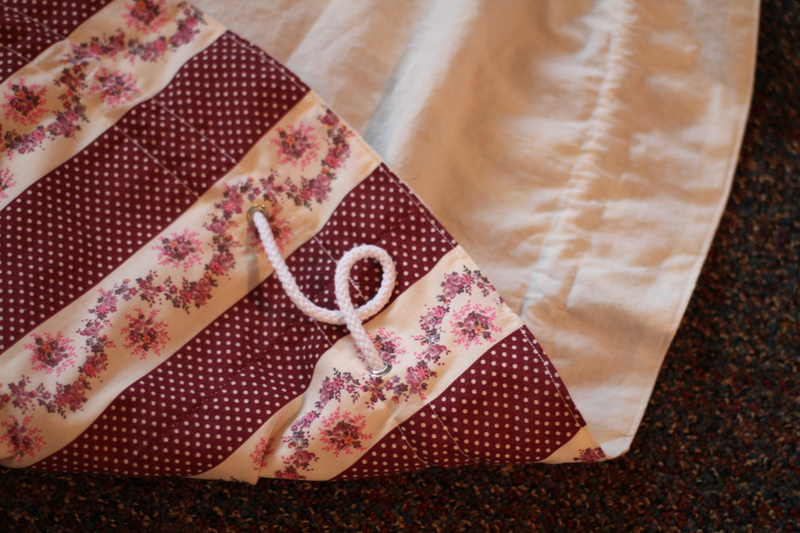 If you are thinking of making one, I like the bigger grommets of the second mat, but the internal casing for the cord of the first mat. 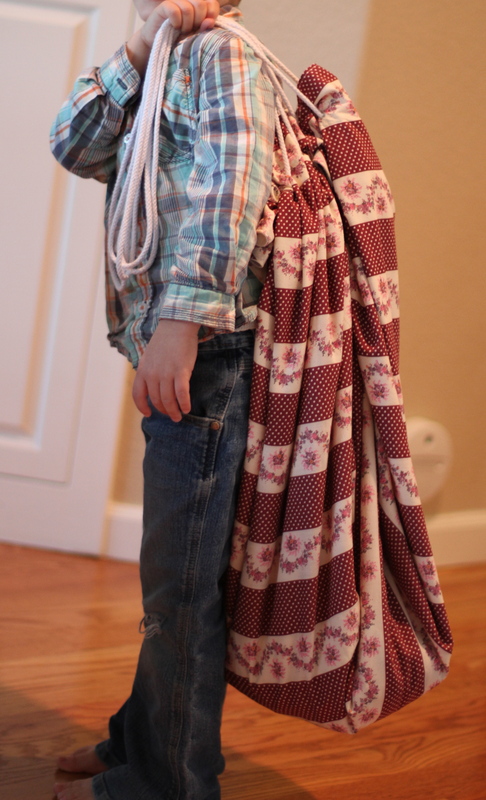 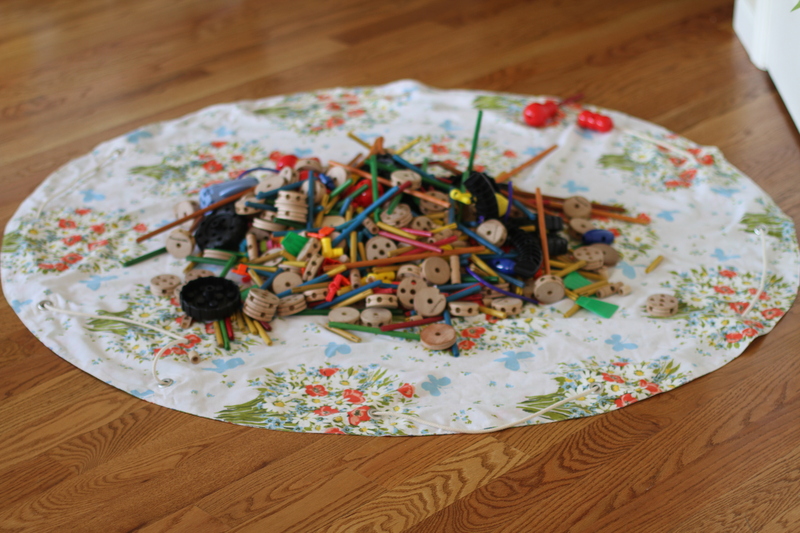 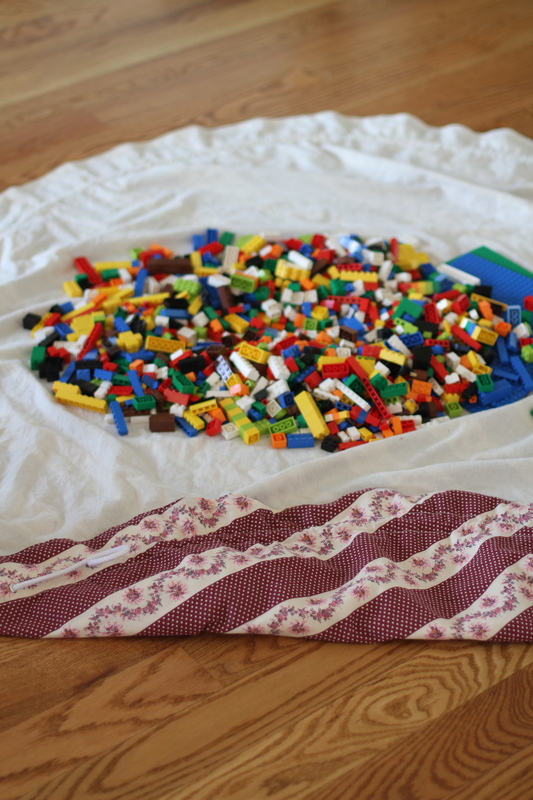 You are currently reading Pinterest project- drawstring lego mats at whatsarahfound.